The 2016 Winter Event will offer a brand new starship requisition project available in the Event Reputation: the Tier 6 Breen Chel Boalg Warship. Obtaining this vessel will require the acquisition of 1000x Winter Prize Vouchers (2016), which can be earned daily by completing the “Fastest Game on Ice” mission at Q’s Winter Wonderland. This starship features a Lieutenant Commander Science/Intel bridge officer station. 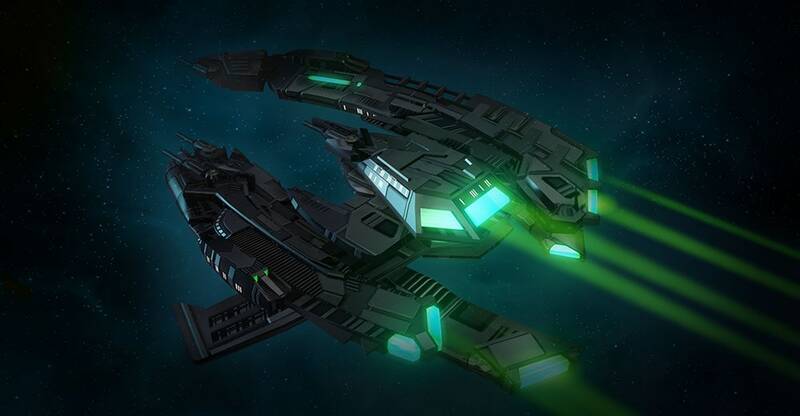 The Chel Boalg Breen Warship comes equipped with the Enhanced Breen Energy Dissipator console. The Enhanced Breen Energy Dissipator console is a potent weapon that was able to incapacitate enemy ships during the Dominion War until the Federation and Klingon forces adapted their ships to compensate. This weapon represents a state-of-the-art upgrade, but due to the architecture change in modern ships, the weapon only reduces the power levels of targets rather than entirely disabling all their systems at once. This console provides a passive boost to Drain Mastery skill and Critical Hit Chance. This console mod can be equipped in any console slot on any Breen ship. Only one of these consoles may be equipped at a time. After reaching level 5 in Breen Chel Boalg Warship [T6] Starship Mastery, you will unlock the Cryonic Siphon starship trait. While this trait is slotted, Cryonic Siphon will drastically reduce the target's shield hardness and damage resistance while Energy Siphon is active on its target. This starship also features the Breen bridge.